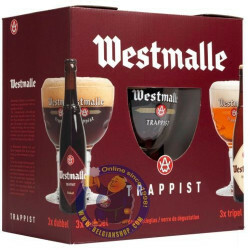 Westmalle Triple 9° CRATE 24x33cl is delivered worldwide. 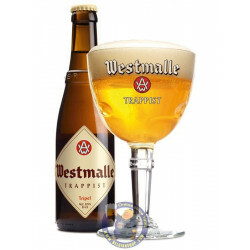 Brewed under the control of the Trappist monks of the Abbey since 1934, this beer sometimes nicknamed "Mother of all triples" has indeed sacred assets in the bottle. 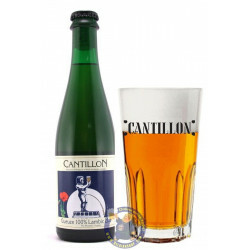 This Belgian beer is indeed one of the first beers to be brewed under the name of "triple beer" and it is the result of a rigorous selection of the ingredients used in its composition. Many hops are here to aromatize and give the bitterness to this exceptional beer. In addition, the yeast used is the same since 1956 and it greatly influences the aromatic complexity and taste of this Trappist. Fred F. from Ridgefield bought this product recently. 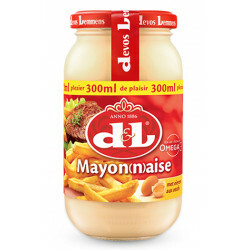 And 23 other customers have bought also this product, and love it. This crate contains 24 bottles 33cl Westmalle Triple 9°. Buying beer per complete crate is more than 15% cheaper than ordering 24 single bottles. And receive FREE the crate (packaging). 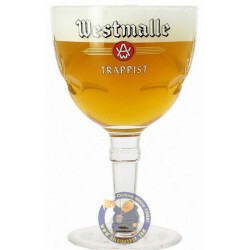 Pouring an vibrant honey gold beneath a puffy white head, Westmalle Tripel breathes bright, perfumed fruity malt notes and classic bready Belgian clove and banana yeast scents. 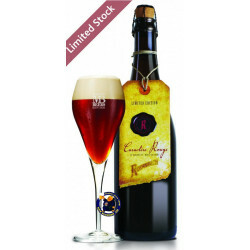 On the palate, there’s more of the same ripe, rounded fruity plum and cherry malt, with a spicy yeast character and grassy, herbal, floral hops that complete the tasting experience for this timeless Belgian classic.